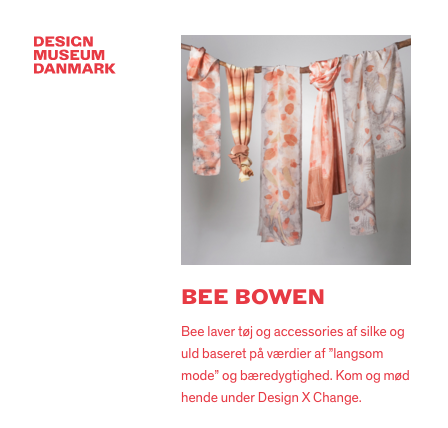 Join us for the Danish Design Festival 2018 when designers, craftsmen, thinkers, businesses and citizens meet to share their knowledge and passion for a sustainable future. Bring friends and family. There will be lots of creative workshops, talks, and activities for everyone. And of course I'll be there with my leaves and dye pot. Older PostJoin me at the Trapholt Museum censored Art & Craft market. Denmark 20 - 21 May.